Aloha e komo mai to beautiful Hawaii – Hello and welcome to your next great PCS adventure! The island of O’ahu has a population of over 950,000 and is home to almost 50,000 military personnel. 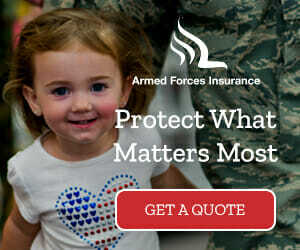 Additionally, there are ten active military bases in Hawaii. Each branch of service, including the Coast Guard, is represented. Included in this number are Barking Sands Missile Range in Kaua’i and Coast Guard Station Maui. 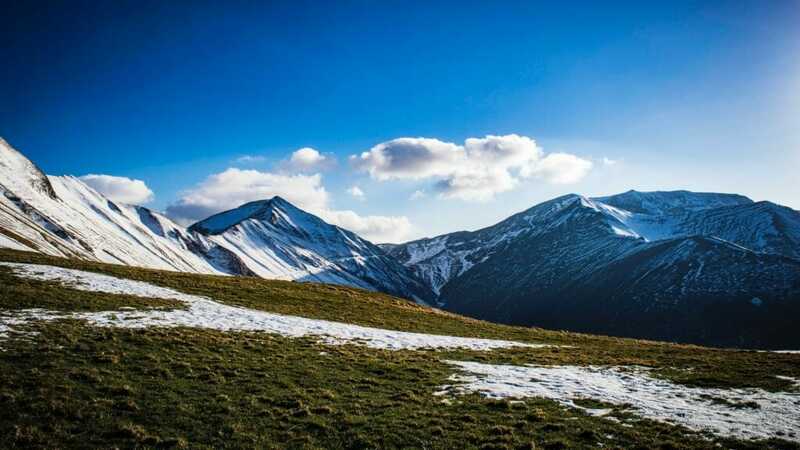 From its beautiful beaches to its many peaks and craters, you really can’t go wrong when it comes to exploring and enjoying all the island has to offer. 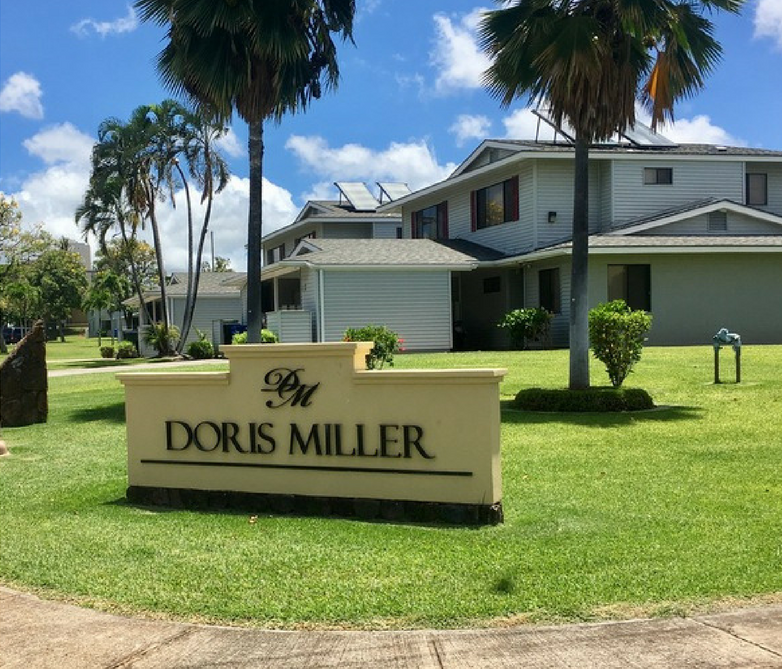 Before your big move to one of the military bases in Hawaii, be sure to check out base housing photos, neighborhood reviews and more at PCSgrades.com. Hawaii is the most recent state to join the United States, and it is the only U.S. state located outside North America. It is also the only one composed entirely of islands and located approximately 2,000 miles southwest of the U.S. mainland. Wheeler Army Airfield, which serves as headquarters for U.S. Army Garrison Hawaii, and Schofield Barracks, the home of the 25th Infantry Division, are also located in central O’ahu. Nearby towns include Wahiawa and Mililani. Listed as a National Historic Landmark, Fort Shafter is the oldest military base on O’ahu. It is also home to the United States Army Pacific Command, the Army Corps of Engineers Pacific Ocean Division, and the Major Command of U.S. Army Forces for the Pacific Region. There is one elementary school, Shafter Elementary, located on post. Easily distinguished from a distance due to its pink exterior, Tripler Army Medical Center sits prominently on a ridge that overlooks Honolulu. Tripler is the home of the Pacific Regional Medical Command and is the largest medical treatment facility in the Pacific Basin, supporting over 250,000 active duty and retired military personnel, dependents, and veterans. All Navy Housing Hawaii is privatized. Although there is an inventory of over 4,500 homes, the wait can be long depending on the neighborhood. Don’t hesitate to get on the list if you’re on the fence about base housing! While not located on the main naval base, Ford Island, Makalapa, and McGrew Point neighborhoods are all gated. Located eight miles west of Honolulu, Naval Station Pearl Harbor is the headquarters of the United States Pacific Fleet. It is home to both surface ships as well as submarines. Adjacent to the base are the USS Arizona and Battleship Missouri Memorials, which are open to the public. The Pacific Aviation Air Museum is on neighboring Ford Island. Home to the Pacific Command, 15th Wing, Pacific Air Forces headquarters and the Hawaii Air National Guard, Hickam Air Force Base is designated a National Historic Landmark for its role in the World War II Pacific campaign. There is one school, Hickam Elementary, located on base. Hickam has a flat terrain, wonderful for walking and biking. 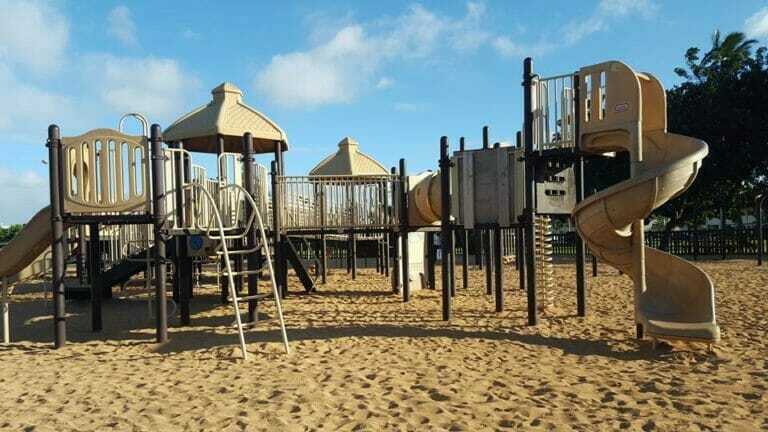 There are open playgrounds located throughout the base. Behind Wright Brothers Cafe, there is a paved path which runs along the Pearl Harbor channel, where you can often see ships and submarines coming and going. Just down the road from Wright Brothers is Hickam Harbor Beach. The southeast corner of Hickam backs up to Honolulu International Airport. Located in Kaneohe Bay on the Windward side of O’ahu, MCBH is home to the 3rd Marine Regiment, Combat Logistics Battalion 3, Marine Aircraft Group 24, and the Patrol and Reconnaissance Wing 2 (Navy). There is one elementary school, Mokapu Elementary. 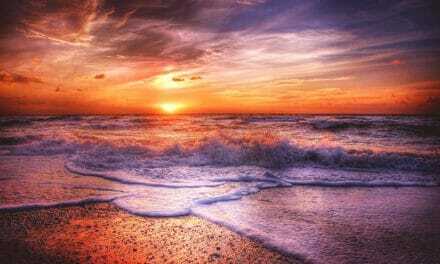 This base has an impressive four beaches, in addition to the nearby Sandbar. Accessing MCBH as a visitor, even with a valid military ID, requires either a day pass or an annual paper pass. U.S. Coast Guard Base Honolulu supports routine and contingency operations in the 14th District of Responsibility. This district has over 1,100 active duty men and women and covers over 12 million square miles of land and sea. One of the great things about Hawaii is being able to live just about anywhere and still have a [semi] reasonable commute to a military installation. 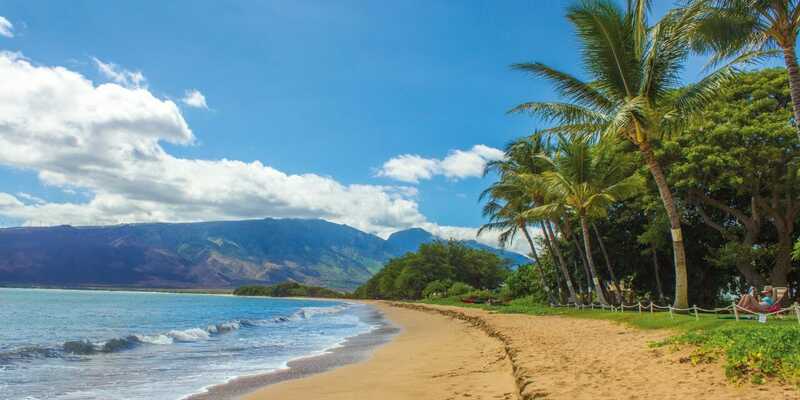 Popular areas to live off base include Leeward (West) Side, Ewa Beach, Kapolei, Central, Mililani, Wahiawa, Salt Lake, Windward (East) Side, Kailua, Kaneohe, and Hawaii Kai. 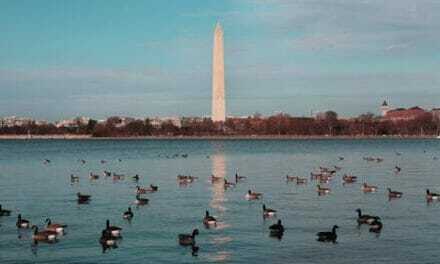 The BAH for Hawaii tends to be on the high side, similar to the Washing D.C. area. Island living, in general, tends to be pricey because everything has to be shipped in. The median sales price for a single-family home on O’ahu in 2018 was $800,000. 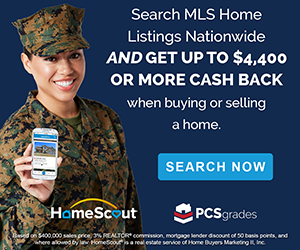 Whether you decide to live in base housing, rent a home in town, or buy a house in paradise, be sure to check out PCSgrades for neighborhood reviews and military-friendly realtors! Trade winds keep the average temperature in Hawaii at around 85 degrees throughout the year. The landscape across the island, however, varies significantly depending on location. On the Leeward (West) side of O’ahu, you will find a drier, more desert-like environment, while the Windward (East) side is home to the lush Ko’olau Mountains. Much of central O’ahu is farmland, and the North Shore consists of a rocky shoreline with higher surf. Many popular surfing competitions are held there. All of the military bases in Hawaii have the usual amenities: Commissary, Exchange, gym, community pool, etc. Check with the individual installation for details. Public schools are part of the Hawaii Department of Education. If you have school-age children, a great place to start in finding a school is to contact the School Liaison Officer for your respective branch. The SLO can assist in getting your child registered. Hawaii does not have any DoD schools, but there are many public, private, and charter schools to choose from, as well as a large homeschooling community on the island. Just a heads up: most schools and childcare centers require a negative Tuberculosis test to enroll. Moving to Hawaii is a process with a few more factors than your typical stateside PCS. It requires some extra planning when it comes to shipping your pets, vehicles, and even your household goods. Commonly known as an “express shipment,” service members moving to Hawaii are allowed to ship a small, separate collection of household goods ahead of their regular shipment. This shipment counts toward your total household weight limit and typically includes things like season-appropriate clothing. It is surprisingly difficult to find summer-weather clothing in Hawaii during the winter. Kitchen items and small appliances that can be used in temporary housing, and small electronics are also a good idea to include in the express shipment. This is an excellent opportunity to pack bikes and outdoor toys for the kids, or boogie boards and snorkel or scuba gear for the adults! Depending on the moving company and departure city, unaccompanied shipments have been known to arrive after the main HHG shipment occasionally, so be sure to plan accordingly! Will you be PCSing with pets? Check the Hawaii Department of Agriculture’s website for animal quarantine regulations and requirements. Please note the “Checklist for the 5 Day or Less Program.” If your animal qualifies, you will be able to pick them up and take them home directly from the animal quarantine station at the airport! Otherwise, the standard quarantine period is 120 days upon arrival in Hawai’i. *as of August 31, 2018- the new waiting period time is now 30 days. The next step with pets is to secure temporary housing that allows animals. The Royal Alaka’i on Hickam, Ford Island Navy Lodge, The Inn at Schofield Barracks, and Inn of the Corps in Kaneohe all offer pet-friendly temporary lodging. Weight limits and fees may apply, so be sure to double check before booking! The military will pay to ship one vehicle to Hawaii. Motorcycles can often be shipped with your household goods shipment, so be sure to double check with your assigned moving company. You can use the PCS My POV website to find the nearest Vehicle Processing Center (VPC). Some people choose to pay out of pocket to ship a second vehicle, while others decide to purchase an additional vehicle once on the island. Military Car Lot is a great place to search for quality used vehicles being sold by other service members. Living on a tropical island means great year-round weather. No matter where you decide to live, you will only be a short trip from a beach or a scenic hike! If you are interested in planning a trip to any of the locations below, be sure to check your local Information, Tickets, & Travel (ITT) or Leisure Travel Office (LTO) for exclusive military deals and discounts! Kualoa Ranch has been a filming location for many famous movies. They offer a movie tour as well as horseback and ATV adventures. The Dole Plantation in Wahiawa is famous for its Pineapple Express train that runs through the pineapple fields. It is also known for its Dole Whip ice cream and houses a koi pond as well as a pineapple maze. Located in Laie, the Polynesian Cultural Center is an immersive cultural experience that allows visitors to learn about all the Pacific Island cultures, including food, hula, games, and lei-making. A variety of great kids’ activities can be found in the town of Kapolei. Wet & Wild, iTrampoline, and Coral Crater Adventure Park are fun for kids of all ages. The Disney resort, Aulani, is located in Ko’olina and features a Disney character breakfast buffet as well as waterslides and other family-oriented activities. There are a seemingly endless number of hikes to check out in Hawaii. Some of the more well-known hikes include Diamond Head, Waimea Falls, Koko Head Stairs, and Makapu’u Lighthouse Trail. For those who prefer more of a leisurely stroll, botanical gardens are abundant throughout O’ahu! This is probably the most well-known and loved snorkel spot on the island. Located in East O’ahu, droves of people flock to its beautiful beach and reefs every day. Park and walk, or pay a few dollars to catch a shuttle ride down the hill and back to the parking lot. 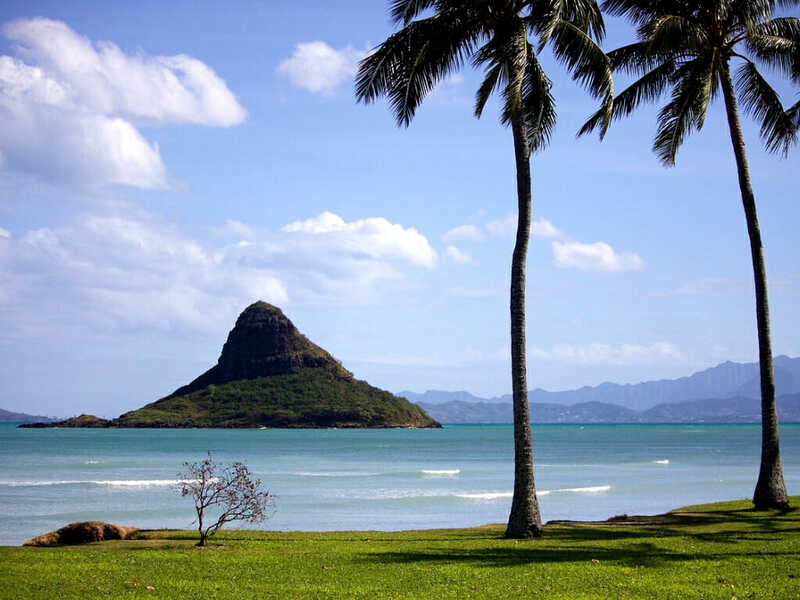 Located in the town of Kailua, Lanikai is known for its beautiful white sand beach and bright blue water. It’s perfect for sunbathing and boogie boarding, and the low surf makes it great for the kids, too! In the heart of downtown Honolulu on the south shore of O’ahu, Waikiki Beach is situated amongst some of the more popular hotels. The Hale Koa Hotel parking garage has great rates and offers parking validation for military members. The beach can be accessed by walking straight through the main lobby at the hotel. The Hale Koa also has two pools available for public use by military personnel and their families. Located in Kapolei, the Ko’Olina Resort is a master-planned vacation community that houses several resorts including Aulani (Disney). 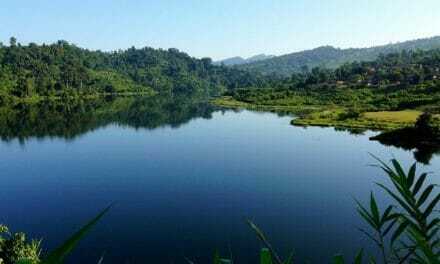 It has three natural and four man-made lagoons that are perfect for swimming and snorkeling, making it an extremely popular destination for families. With a little planning and making use of great resources such as PCSgrades.com, moving to Hawaii can be a breeze, and before you know it, you can begin to enjoy island life! Read or submit your reviews today! Together, we can truly make a difference! Rochelle Murty is a Navy wife and stay-at-home mom. While born and raised in the Pacific Northwest, she is proud to call both Washington and Texas home. She currently lives in Port Orchard, Washington with her submarine officer husband and their two children. Wow, what helpful resources for all branches PCSing to Hawaii. Also, the Pet Quarantine period is no longer 120 days. The update from August 2018 is now only a 30 day period.